The controversial Texas homeowner hail claims bill which gained collision repairer interest has cleared the House Insurance Committee, but failed to make a deadline for a full House vote. After passing the House Insurance Committee 6-3 on May 15, Senate Bill 1628 was sent to the Calendars Committee for scheduling. However, that body didn’t schedule it for a House vote by the Sunday deadline. “It’s basically dead,” said Sarah Strong, an assistant clerk for the Calendars Committee. 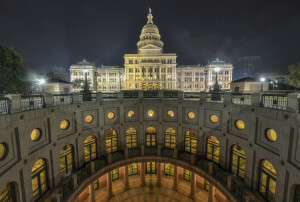 The Texas Legislature is scheduled to end June 1. The version of the bill that passed the Senate would have made it more difficult for property owners to sue insurers for unpaid claims and limit the amount they can collect, and it would have had serious implications for collision repairers if it ever were extended to auto insurance. “There have been some comments that this bill has received more diverse objections than any legislation in recent memory. You have an industry that made over $7.5 billion; at the same time they admit we had record hailstorms; yet they make a gross overreach to deny policy holders of all kinds from one end of this state to the next,” Texas Trial Lawyers Association President Bryan Blevins told Texas Lawyer. SB 1628 was done in response to hail damage lawsuits, similar to a Florida bill that would have blocked homeowners from assigning benefits. In Florida, “ambulance-chasing” contractors and attorneys were swooping in after water damage incidents and inflating claims, according to media reports there. However, Texas Lawyer reported Tuesday that the bill’s House sponsor had “made significant changes to delete some provisions and soften others” in the Insurance Committee. The House still has until midnight May 28 to consider Senate amendments to bills, according to Strong. However, what Texas Lawyer reported was a plan to add parts of SB 1628 to insurance legislation HB 3787 also has been foiled. The Senate Business and Commerce Committee failed to act on HB 3787 by a Tuesday deadline, according to a committee policy analyst, effectively killing that bill too. Republican Sen. Larry Taylor had planned to add language to HB 3787 requiring homeowners to file a claim within a year but giving the Texas insurance commissioner the option to add another 120 days, according to Texas Lawyer. “Among other things, Taylor said he was working on an amendment to the bill to require property owners to send insurance companies a notice before they file a lawsuit,” Texas Lawyer reported.